Additional Info: Bedding included heating in bedrooms, TV / DVD in lounge with selection of DVD's. 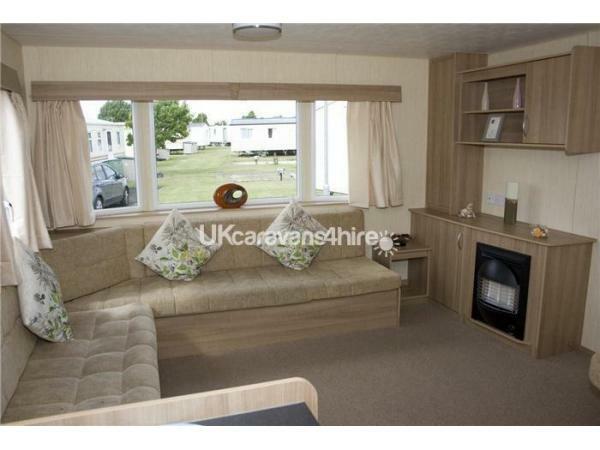 3 bedrooms (one double 2 x twins) with additional double sofa bed in lounge. Located in quiet area 5 mins walk to lakeside and 5 mins to main entertainment complex. 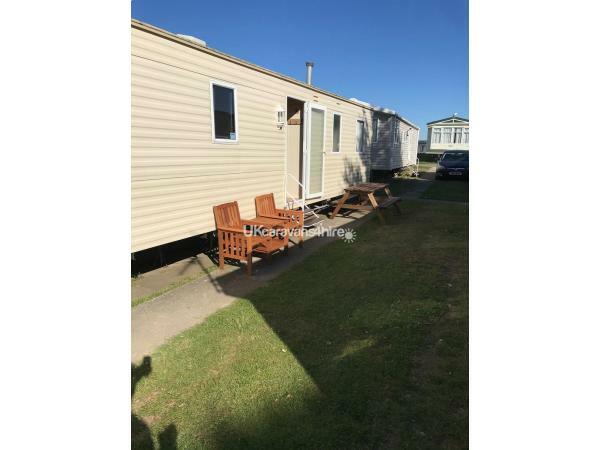 Excellent condition clean caravan, located on Oak Meadows very close to a play area, The caravan comes equipped with fridge, microwave, bedding, 3 bedrooms, one double, 2 x twin with sofa bed in lounge area. TV with Built in DVD selection of DVD's. 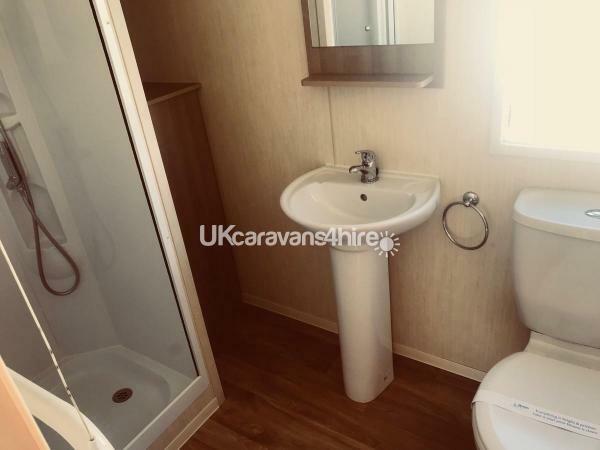 Bathroom with shower and toilet plus separate toilet. 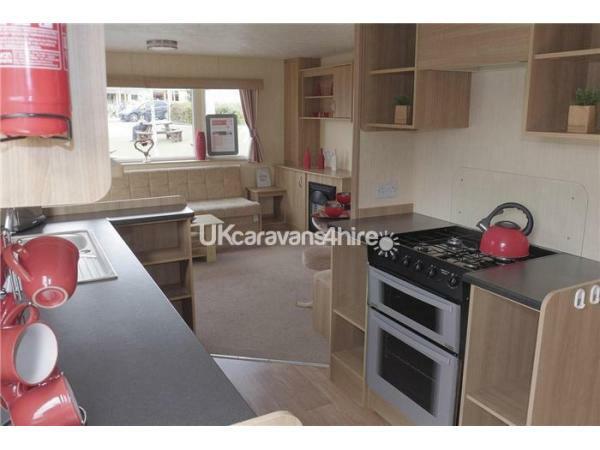 Ideal location half way between main complex and lakeside area -approx 5 mins walk to each. Entertainment passes can be purchased at main reception. 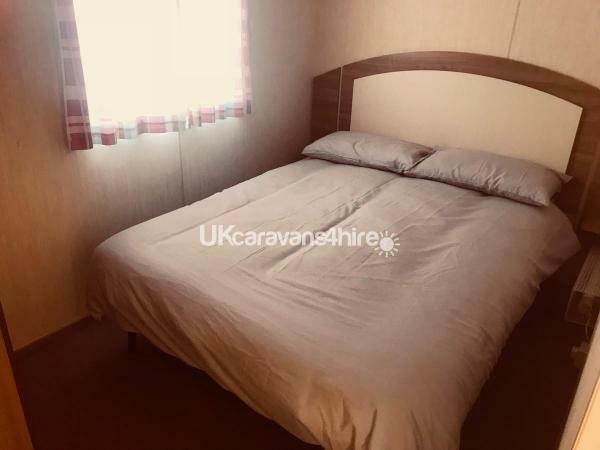 £50 deposit with booking balance due 4 weeks before travel we also ask for a £50 refundable deposit to cover any damage or breakages this is added to the holiday price and is payable along with the balance 4 weeks before. Primrose Valley is Haven's only 5* resort in the North of England with every facility you will need for a fun filled holiday, a short drive from the wonderful seaside towns of Filey, Scarborough & Bridlington. We live local to the park so can resolve any issues quickly. Additional Info: Funworks, showbars, Pizza, fish & Chips, Starbucks various restaurants and bars. Boating lake Swimming pools. Direct access to beach. Fun fair and Adventure Climbing center and many many more things to keep you entertained. PLEASE NOTE: Haven do not allow all male or all female groups on the park. It is a family friendly site and not suited to stag or hen type breaks.